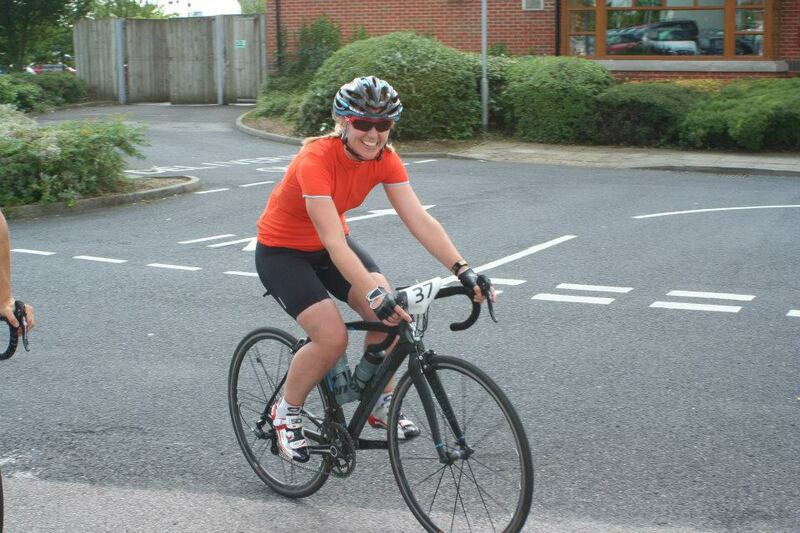 Ride London has given me some exciting opportunities as a cyclist and last week I took part in a training event. 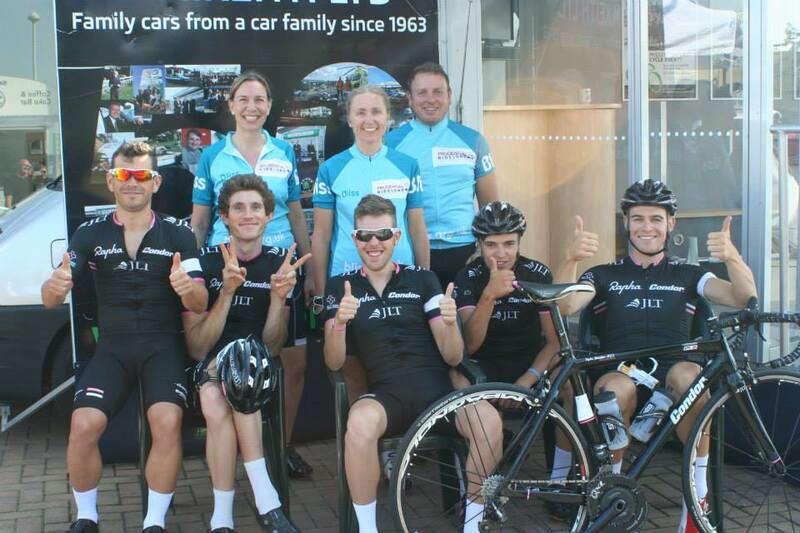 Skoda Cycling organized the event and a very lucky group of riders were invited to the Wakefield Skoda Dealership to ride out with the Rapha Condor JLT professional team. 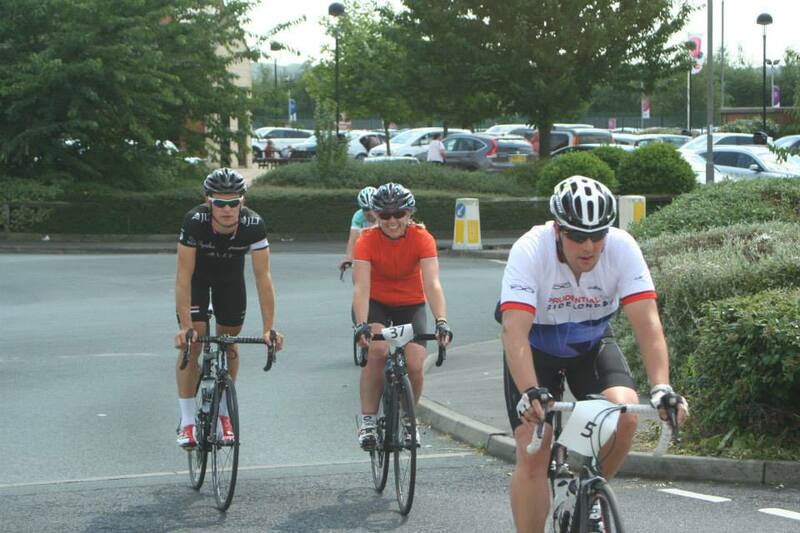 The event was announced on the official Prudential Ride London Surrey 100 website earlier in the year. Skoda offered riders 3 events, 2 were in the South in March and April and the 3rd in Yorkshire in July. I spent a lot of my winter working on a big project that took me across the pond to New York so I didn’t get the opportunity to put in as many winter miles as I would’ve liked. I wasn’t very fit in March / April. I was putting in very long hours in the office, I visited New York 3 times before the end of March for work trips so I decided I would benefit more from being on the Yorkshire ride in July. If I put this marker in my diary, a longer-term goal, it would keep me focused and help me work towards my fitness goal for Ride London in August. 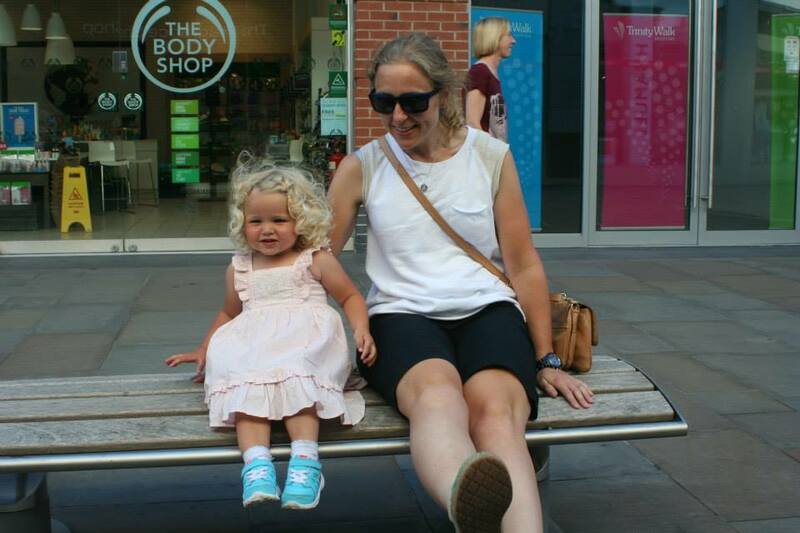 I booked a hotel when I found out I’d secured a place and Mum and Savannah would come with me. 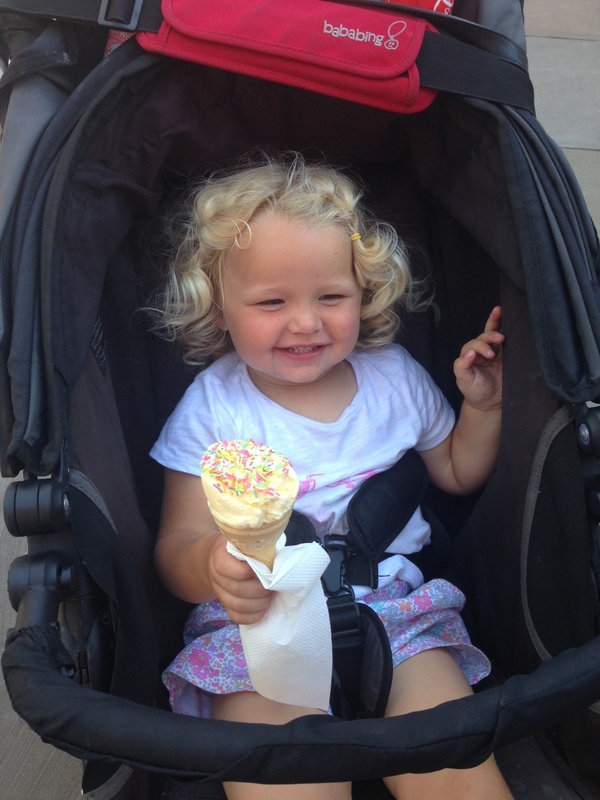 At that time we didn’t know I’d be away working at the Commonwealth Games so the 2 days break with Savannah were so valuable and precious as I would be away for 12 days following this. 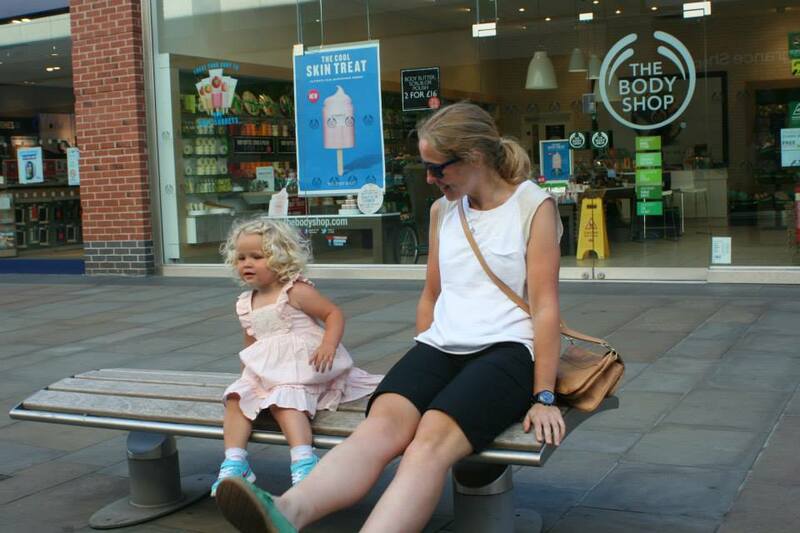 We spent our arrival day just pottering around Wakefield, it was a beautiful, hot summers day. Savannah has done the Yorkshire car journey twice now and she’s not very fond of the last couple of hours so as soon as she can get out of the car and run around it’s best for everyone. Our hotel, a modest Premier Inn turned out to be perfect. 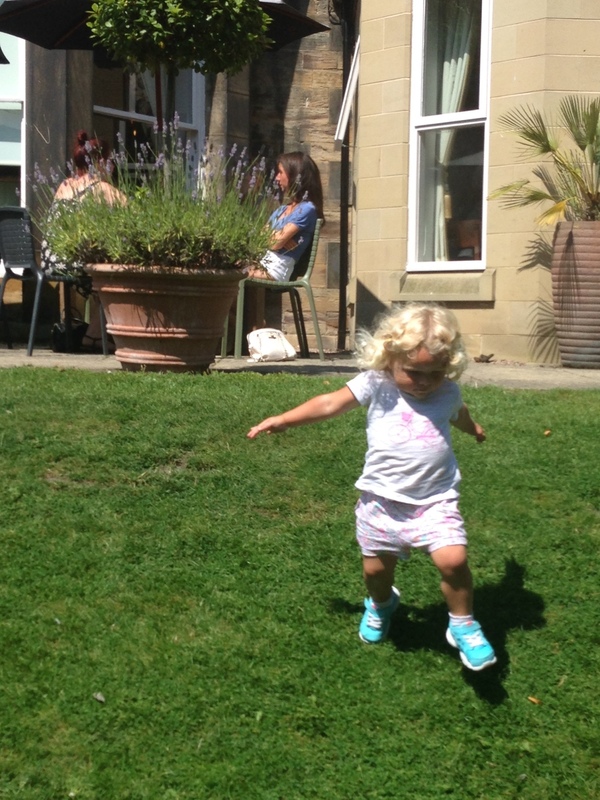 The hotel rooms are just the same as all other Premier Inn’s but it was attached to a lovely restaurant with beautiful gardens and a great play area so Savannah could run free. We did all our dining here and it was lovely. When I sent my entry in for the Skoda ride I had to give my estimated average speed, this was used to grade riders and put them in to groups on the day. I put my speed down as 15mph, I was taking in to account the local hills and also my fitness at the time of entry. When I arrived at the event the girl checking me in said I was in group 3. She said there was an opportunity to move up a group as a lot of people were dropping back due to the heat, it was in excess of 25’ already at 09:00 and forecast to be around 30’ during the ride. I was feeling fairly confident in my ability, my speed locally was averaging 16.5mph/17.5pm on my own and I’d done a 70 mile sportive with a colleague from the club much earlier in the year and we’d averaged 18mph so I upgraded myself to the fastest group, 1. I decided the only way you’re going to improve and get any real benefit from these opportunities is to push yourself. I’d rather ride on the edge, on the wrong side of my comfort zone. The girl explained, if I was really struggling group 2 would be set off 2 minutes after us and I could always drop back in to that group if I really couldn’t cope. 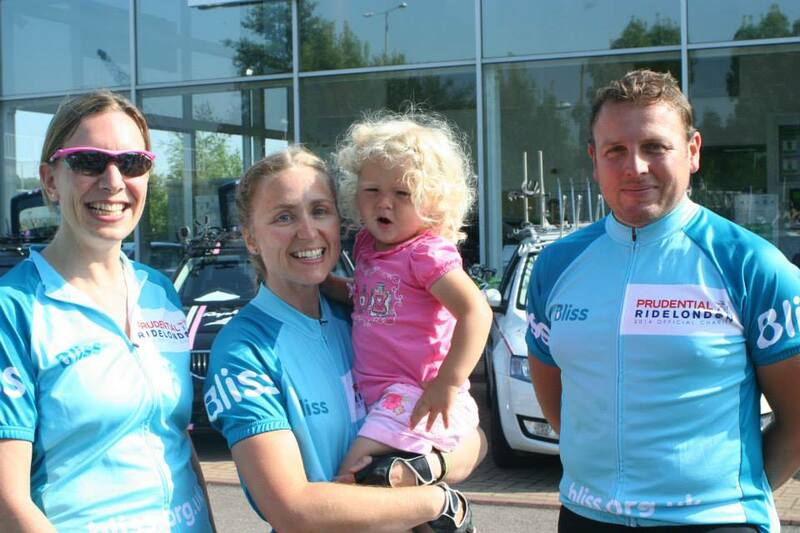 2 of the other riders from Bliss had also managed to secure a place at the ride, Paul and Lorraine so we met up before the ride started. All 3 of us were wearing our lovely blue Bliss cycle jerseys so I introduced myself to the Rapha Condor JLT team manager and asked if we could have a photo with the team riders for Bliss. This is something I’ve learnt in my job as an event producer. 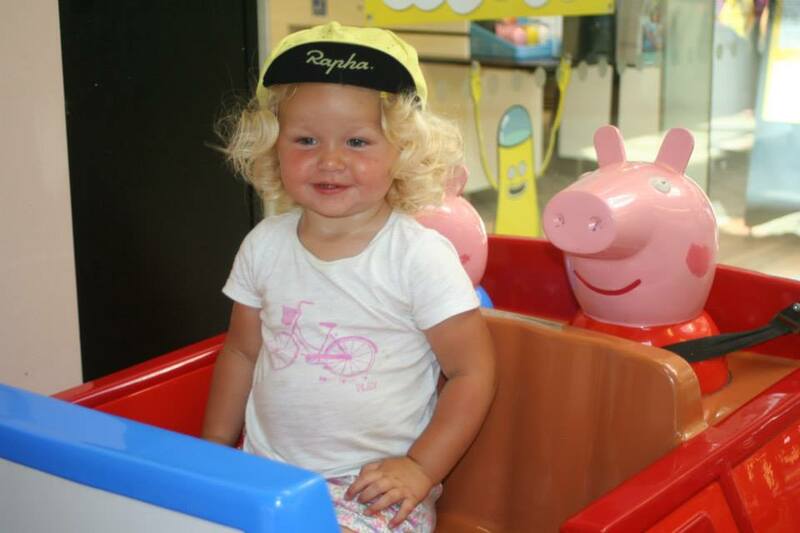 These moments are precious for a charity like Bliss, they help them gain valuable publicity and the riders were glad to oblige and posed for pictures and asked about Bliss and the work they do. After a detailed briefing about the ride, the route and where they were taking us that day we all posed for group photos with the team in front of the dealership and then broke off in to our groups. As I was in group 1 we were set off first with Chris Opie and Graham Briggs as our pro leaders. A team car driven by the team manager also supported us. You could sense a lot of nervousness amongst the other riders, had we picked the right group. Luckily as we pulled out of the dealership I was right behind Graham and Chris so I gained a good position from the start. The pace was very fast straight away and I did start to wonder if I’d made the right decision upgrading myself to group 1. We rode the first few miles averaging 19mph and you could sense everyone was feeling it. It usually takes me around 12 miles to warm up fully for a long ride, after those initial miles I start to find my form, find my hill climbing legs. Stop coughing and spluttering and settle in. There was no opportunity for that on this ride; they threw us in from the start. 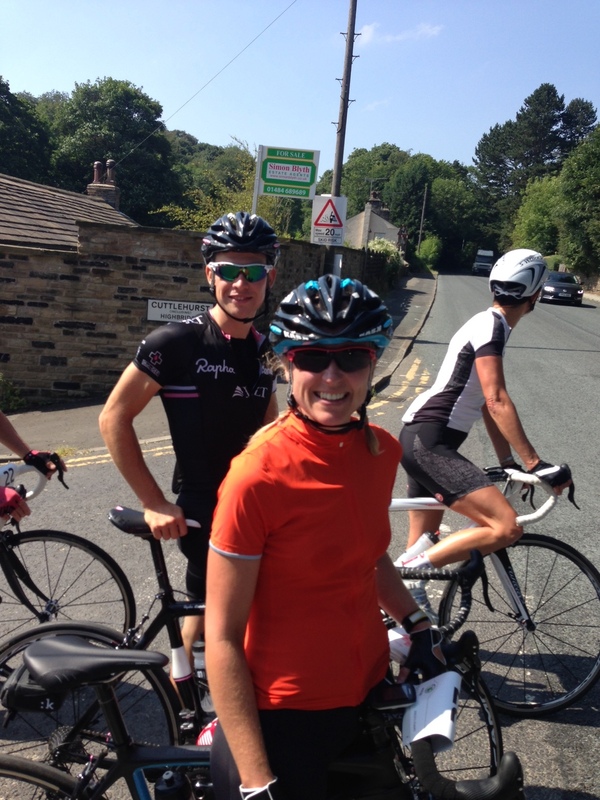 We knew we were in for some good climbs because we were in Yorkshire and I was feeling fairly confident about my climbing ability. I’ve spent most of this year really practicing my climbing. In the earlier months of the year, every ride I did I made sure I tackled at least one nasty climb. One of my local hills, Bow Brickhill featured on every Saturday morning ride. I went back every week and tried and tried again. 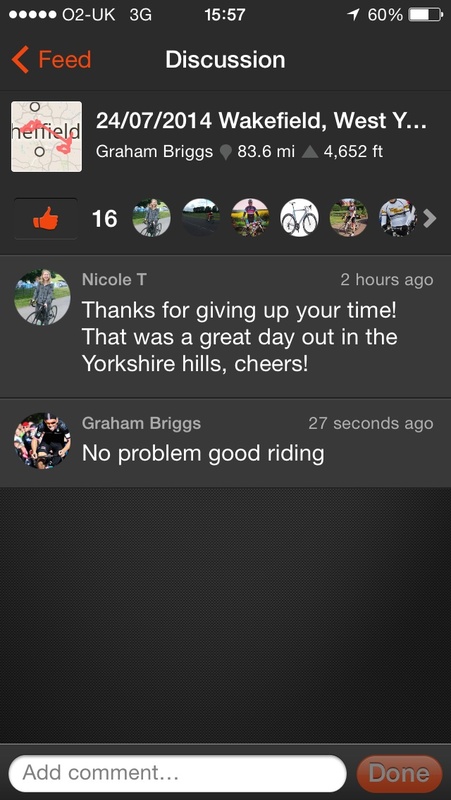 When I first rode it I was 144th on Strava, the last time I went up there I managed to get inside the top 10. I made a big switch in my head this year, I look for hills and I learnt to love them. It’s made a big difference for me. I still have moments where I want to unclip and get off but I won’t because I know that pushing my bike up a steep incline is harder than riding up it. The hardest hill of the day was Thurstonland and about half way up I wanted to unclip and stop. I was overcome with the heat and the pain in my legs was excruciating. The incline was so intense in places it felt like I was climbing a wall on my bike. Its moments like this that I weirdly enjoy, the challenge is so great I have to make it to the top. No matter how much it hurts, getting off is not an option. I was near the front of the group, I think only 3 guys were ahead of me. We all have our strengths and mine has become climbing but only through lots of practice and determination to improve. I’ve also been focusing on my nutrition and dropped a good amount of weight again, this has also made a huge difference. It was interesting to see Graham and Chris and the other team riders up close and see how small they are. They have zero body fat, they’re finely tuned machines. They are powerhouses; it’s very impressive to see them in action. We choked our way up one hill and when we reached the summit Chris flew off like a rocket to show us an ‘effort’. I try training in Threshold when I go out for my 10-mile morning rides but this was next level. Throughout the ride Graham and Chris moved around the group and chatted freely to all of us. I spoke to both of them and they offered advice on hill climbing, bike maintenance and anything you wanted to ask them about. 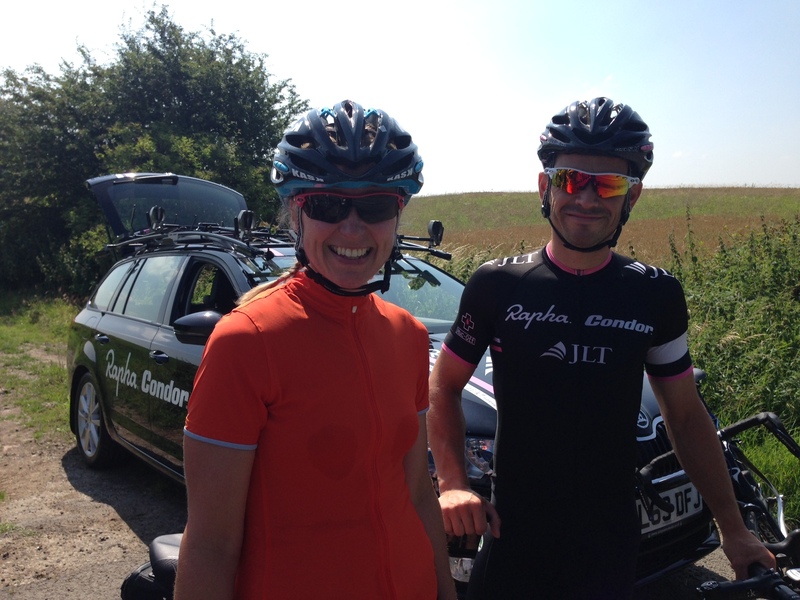 I had a brilliant day out in the Yorkshire hills with Rapha Condor JLT and following this event my speed up hills has improved furthermore because I pushed myself that day in to group 1. 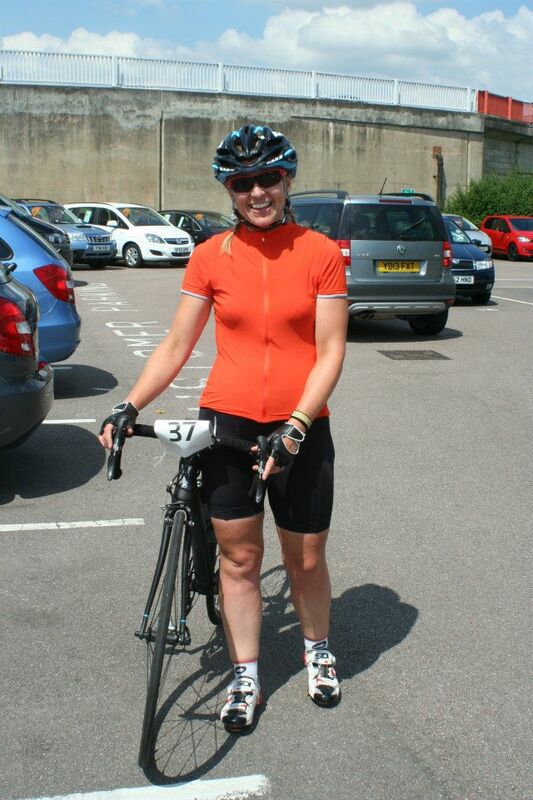 Ride done, still standing, just…..